How do I choose my letting agent? 1. Check their charges. Some may offer a very attractive management fee, but an overpriced 'initial' or 'setup' fee. 2. Check their tenant screening procedure. Will they complete a full referencing check? Will the pass on a copy of this check to you before the tenancy goes ahead so that you can make a final decision? 3. Check the training of their staff members. Are they ARLA trained, or do they follow a regular training programme? 4. Check the ratio of managed properties per staff member. As a rule of thumb a letting agency should have 1 staff member for every 50 managed property. 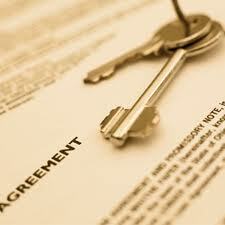 Check the experience of the property management team. An experienced team will be able to save you time and money (this is why you want to use a letting agent). An inexperienced team will waste your money and time, and at the end pass on the problem to you. 5. Check their accounts procedures. Do they collect the rent by Direct Debit or Standing Order? Standing orders are very limited, but cheap letting agents will use it. Proper Direct Debit facilities will give much more control to the letting agent over the payment process, but it cost more money to the letting agent. Will they pay you as soon as they receive the rent, or will they hold the money for a few days? You should get your money within 48 hours of they receiving the rent. Will they provide a regular, clear and detailed statement? 6. Check their property inspection practice. How regularly do they conduct their property inspections? Will you get a detailed written report with pictures after the inspection is completed? Inspections should be done quarterly and full comprehensive written reports sent to the landlord. 7. Check their legal expertise. Do they have an experienced legal team to consult when thing don't go according to plan? Are they ARLA trained? 8. Check their compliance policy. Do they subscribe to ARLA (Association of Residential Letting Agents), NALS (National Approved Letting Scheme) and the Property Lettings Ombudsman? What Tenancy Deposit Scheme do they use for the tenants deposits? An agent will become your representative, so they should be more than happy to answer all these question in detail. If you do not get straight answers, move on and look for an alternative option.